The ABC Family drama The Fosters made television history Monday night for featuring the youngest ever dramatized gay kiss, as characters Jude and Connor, both 13, locked lips after some awkward flirting. Set in a mixed family environment, The Fosters are a diverse group of children, both biological and adopted, whom an interracial lesbian couple cares for, according to the show’s IMDB page. The show, which premiered in 2013, already pushes the limits in the eyes of some, who have raised questions regarding what constitutes modern family programming. The watchdog group One Million Moms boycotted the show immediately after it was announced in 2012. Obviously, ABC has lost their minds… One Million Moms is not sure how the explanation will be given on how the biological children were conceived. None of this material is acceptable content for a family show … Let’s stop this dead in it its tracks. Co-executive producer Jennifer Lopez previously described the show as portraying “a new kind of family” and believes it is reflective of the world today. Robertson’s daily faith-based news show The 700 Club is broadcast on the network to this day, and was ironically aired Monday immediately following a rebroadcast of The Fosters. Robertson has been openly critical of homosexuality for many years. 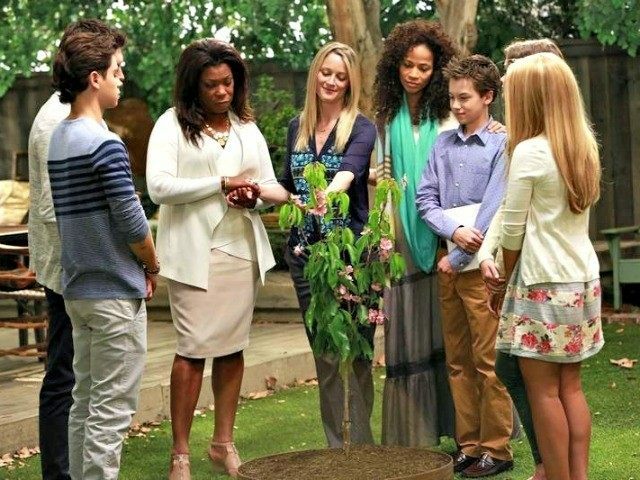 The Gay and Lesbian Alliance Against Defamation group has praised The Fosters, and the show won the award for Outstanding Drama Series at the 2014 GLAAD Awards.